After the Mickey Mouse owner boosted its offer for Rupert Murdoch’s group, Sky investors reckon they’re due a bump. UK regulators’ keenness to protect minority investors implies it should agree. But doing so will also put it in the odd position of adding fuel to an already red hot bidding war. 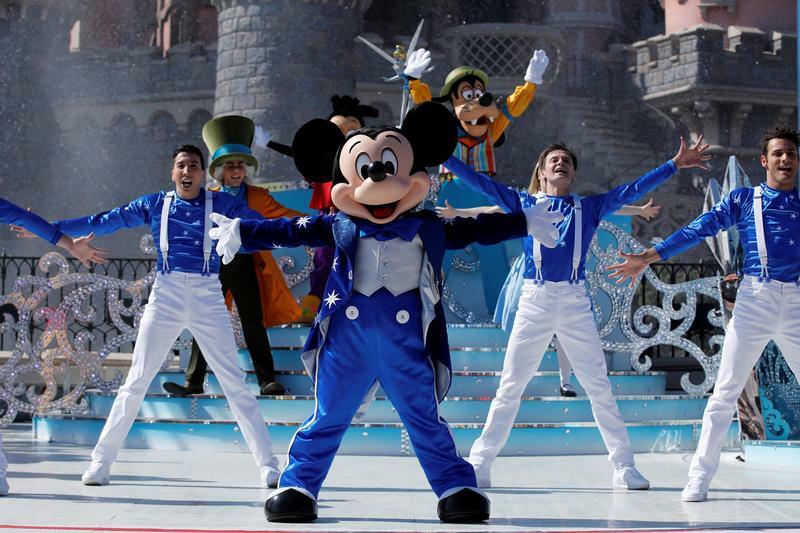 Disney character Mickey Mouse attends the 25th anniversary of Disneyland Paris at the park, in Marne-la-Vallee, near Paris, France, March 25, 2017. Hedge funds are pushing Britain’s Takeover Panel to set a new floor for the fair value of Sky shares, the Financial Times reported on June 27. Walt Disney, which is buying 39 percent of the UK pay-TV group as part of a wider deal with Twenty-First Century Fox, on June 25 published updated Sky EBITDA forecasts which were as much as 27 percent higher than its original estimate. Walt Disney on June 20 announced it had increased its agreed offer for much of Twenty-First Century Fox's entertainment and international assets, including its 39 percent stake in Sky, to $38 a share in cash and stock. That topped a $35 per share cash offer for the same assets made by cable group Comcast, and Disney’s original all-stock price agreed last year of around $28 per share. Comcast in April offered 12.50 pounds per share for Sky, topping Fox’s 10.75 pounds per share bid for the 61 percent it doesn't own of the British pay-TV group made in December 2016. Sky shares were up 0.2 percent to 14.39 pounds at 1040 GMT on June 27.